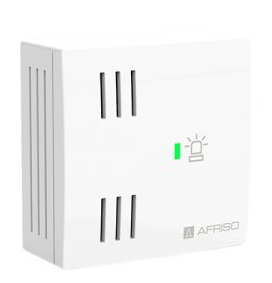 The AFRISO AIS 10 PRO indoor siren frightens off trespassers and alerts residents with a loud alarm tone of 85 dB as soon as one of the connected EnOcean devices sends an alarm signal. The indoor siren features a plastic housing for connection to a standard CEE socket and warns persons in the case of hazards. It is equipped with a repeater function (levels 1 and 2). The indoor siren can be operated as a stand-alone device (without gateway), paired with various sensors and warn in the case of fire, water leakage or burglary. The alarm tone has a sound level of 85 dB, sufficient for residents to notice the alarm and, for example, to frighten off trespassers. In conjunction with the AFRISOhome gateway, AIS 10 transmits alarm messages and state changes of the affected sensor at intervals of one second to ensure reliable signal transmission in the Smart Home system. The integrated repeater increases the range of the overall system and allows you to include, for example, multiple floors in a building. 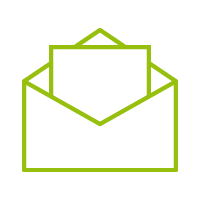 Other than the regular AIS 10, the AIS 10 PRO can be switched to “alarm” or “no alarm” mode via an additional push button switch. When “alarm” mode is activated, the siren howls when the door contact sends a signal, a water sensor detects water or the smoke alarm detects smoke. When switched to “no alarm” mode the siren only howls when security relevant devices like smoke or water alarm send a protocol.